Blackheads and whiteheads are a common skin problem. They appear mostly in the areas where the skin is naturally stretched, like the nose, forehead or chin. Usually blackheads or whiteheads are not painful, but they can give rise to painful acne, when infected by bacteria. The primary problem with blackheads and whiteheads is that they look unsightly and can actually damp your image in your peer group. Scrubbing is a common and effective technique to remove these irritating blackheads and whiteheads and currently there is a bunch of scrubs available in the market that can give you better results by removing these blackheads and whiteheads with regular use. 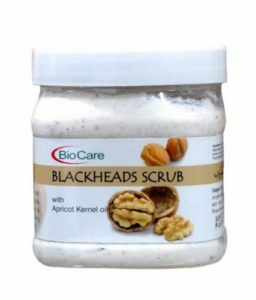 Here is a list of the best scrubs available in the market for removing blackheads and whiteheads. Herbal roots fairness Ubtan gives a radiance and whitening skin. This is a natural herbal product for your skin and beauty care. This scrub is prepared in a traditional manner to get fair and natural glowing skin. This helps to fight against skin problems such as whiteheads, pimples, blackheads, acne, and tan. This scrub is an exfoliating treatment to stimulate the underlying tissues of the skin. So, it helps to remove dead skin layers and make you look younger, smoother and beautiful. 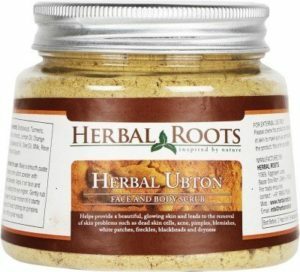 The herbal roots are made from the extracts of turmeric, sandalwood and saffron. This helps to enhance your fairness. This can naturally blend your skin and can nourish the skin oils that glide on smoothly provided skin. This can moisturize and also delicate aroma. This natural herbal scrub removes the tan on the face and on other body parts. It helps to lighten the marks, dark spots, and pimple marks from the face. Jolen papaya scrub can exfoliate your dead skin cells, opens unclogged skin pores, and deepens cleansed skin. This also helps to control excess oil secretion. This makes you look free from oil and dust. The scrub can stimulate cell growth that can keep your skin smooth and radiant. This skin firming has a hydrating property that can be used for ageing skin. This gives a moisturizing effect and can tighten the skin to give a brightening effect. This helps to remove whiteheads or blackheads and make your skin look smooth. You can also use this scrub as body scrub that results in silky, smooth and glowing skin. The ingredients used in it are glycerin, papaya extract, olive oil, fragrance, aqua, aloe vera extract, walnut shell grains, Vitamin E. Simply, moist your face with warm water. Apply this scrub and gently massage by avoiding eyes. Rinse your face with warm water. 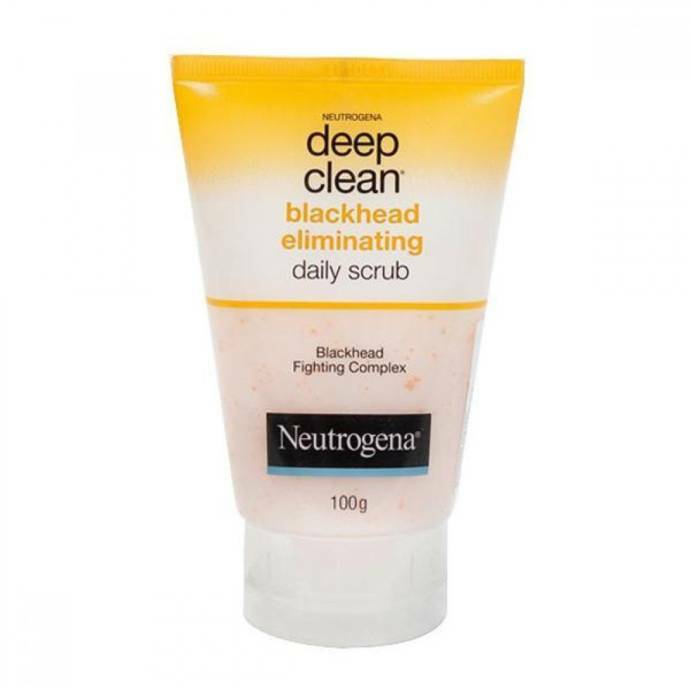 This popular blackhead removing scrub from the house of Neutrogena contains microbes that effectively exfoliate the skin. The product has a blackhead fighting complex, which penetrates deep into the pores and dissolves the clogs, eliminating even the stubborn blackheads effectively. The product is free from oil, non-comedogenic and tested by dermatologists. Fight blackheads and whiteheads effectively while enjoying a fairer complexion from day 1 with this innovative O3+ product which also contains the goodness of Milk. The product is mild on the skin and exfoliates from deep within without reaping of the required moisture from the skin. This scrub is formulated with real milk, which can nourish the skin in the best way while cleaning and exfoliating it from all the dead cells and black and white heads. 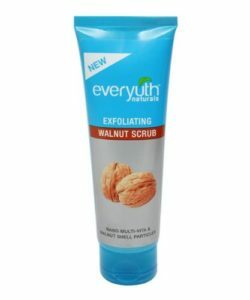 This walnut based scrub from Everyuth cleanses the skin and the pores from deep within helping you to get rid of the blackheads and whiteheads with regular use. This scrub unclogs the pores, giving a smooth and radiant look to your face. The product comes with active ingredients that can rejuvenate your skin, giving a fairer look. This is a face as well as body scrub that is able to penetrate deep into the skin, cleansing the pores with its effective ingredients. The product not only exfoliates the skin, revealing the new cells, but also helps in unclogging the blocked pores, minimizing blackheads, whiteheads as well as the chance of acne breakouts. This product also has anti-aging effects and it can even eliminate the damage caused by the harmful sunrays. This whitening scrub from Jolen not only helps in providing glowing fairness, but also removes blackheads and whiteheads through deep exfoliation of the skin. It combines the goodness of vitamin E which moisturizes the skin and the Aloe Vera present in the product helps in minimizing any type of scar or mark. Tocopherol Acetate combined with Olive Oil makes this scrub ideal for removing pore blockage while maintaining the natural moisture level of the skin. This face scrub is packed with 100% natural exfoliants which ensures deep-cleansing of the skin while removing the dead cells from the skin surface. The product contains salicylic acid, which can be very effective to dissolve the blackheads or whiteheads helping in clearing them off right from the first wash. The product also takes care of your complexion and with regular use you can get a brighter and clearer skin tone. 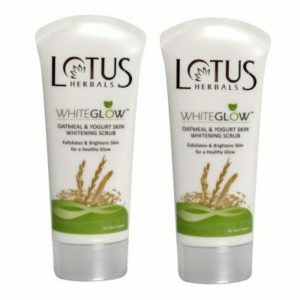 This herbal scrub from the white glow range of Lotus is ideal not only for a fairer and rejuvenated skin, but also for removing blackheads and whiteheads. The scrub provides gentle exfoliation effects and removes all the types of impurities from the skin. The product dissolves the blackheads and whiteheads giving you freedom from these irritating skin problems. Remove the trace of dirt, blackhead and dead skin from your face with this Strawberry cleanup scrub from the trusted brand Lakme. It contains ingredients like walnut, apricot and strawberry that unclogs the pores and removes all the types of deep-seated impurities. The scrub gives rejuvenated and glowing skin with every use. If you are looking for a scrub that is formulated particularly for removing blackheads and whiteheads, then this Bio Care Blackheads scrub can make your best pick. This product includes ingredients that help in dissolving the blackheads and whiteheads on the skin. It also helps in deep cleansing the skin pores, removing any dead cell from the skin. The scrub nourishes your skin with its organic ingredients ensuring soft and supple skin. This specially formulated blackhead eliminating scrub includes natural ingredients that help in clearing the clogged pores and ensures complete exfoliation of the skin. This product removes all the types of impurities from the skin without drying or harming it in anyway and helps in restoring the natural moisture balance of the skin. This blackhead clearing scrub can also offer pore minimizing effects on the skin while exfoliating it from deep within. Open pores are often a cause of blackhead formation, and by using this scrub you not only ensure to remove the blackheads but also reduce their re-appearance through the pore tightening effect of this product. This scrub offers effective exfoliation and can give you rejuvenated skin that glows with health. Oily skins are more prone to suffer from the problem of blackheads and this blackhead clearing scrub has been formulated particularly to meet with the needs of the oily skin. The product is infused with active charcoal and salicylic acid that can dissolve the black and white heads. It can remove dirt and excess oil from the skin while tightening the pores, providing a smooth complete exfoliating effect. This is a medicated facial scrub that contains 2% salicylic acid for giving a deep exfoliating effect. The product dissolves the dead skin cells, removing the blackheads and whiteheads effectively right from its first use. The scrub also fights acne and removes dirt and extra oil from the skin. 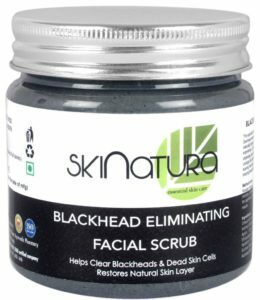 This unique scrub formulation cleanses and tightens the pores and can be ideal for removing blackheads and whiteheads. The product also helps in controlling sebum production while providing nourishment to the skin. 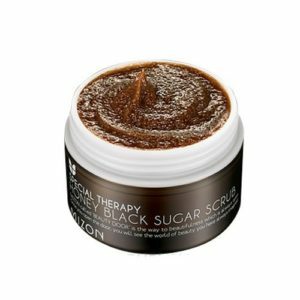 The scrub contains 35% black sugar powder along with a range of plant oils, Vitamin E, green tea and lemon extracts ensure the best skin complexion. Papaya is rich in an enzyme named “papain” and Vitamin A, together this two helps in breakin down the proteins which are inactive and thus sloughs the dead skin cells. Also Apricot extract also sloughs dead skin cells, this scrub gives you soft, smooth and healthy skin by removing dirt and grime and also eradicates pigmentation from the skin’s epidermal layer. This scrub rejuvinates your ski and reverses the signs of aging. It is suitable to be used by both men and women. This scrub can also be used by all age groups and skin types. This face scrub helps in the removal of blackheads gently. Also it eradicates impurities and dead skin cells. Excess oil from the skin surface is also erased thus the root cause of acne is prevented. Neem clear blackheads as well as acne and Apricot helps your skin hydrate. The natural ingredients make your skin soft, fresh and radiant by cleansing, nourishing and moisturizing your skin. Oil and leaves of neem are great skin care ingredients. Your skin is relieved and itchiness, redness and irritation is soothed by the oil. Improvement to your skin health and immunity is also done by fighting infections caused by bacteria such as acne, boils and ulcer. Neem tackles bacteria from the root preventing acne and also prohibits re-occurrence of pimples and blemishes. Apricot revitalizes and hydrates your skin. The beta-carotene present in apricot moisturizes your skin, giving it a natural glow. This face scrub softens, smoothen and give your skin a radiant glow. Apricot hydrates your skin and also removes the dead skin cells revealing the glowing skin underneath. In winters it moisturizes your dull and dried skin. It also soothes your skin and gives it a cool feeling. Best for dry skin. It has a lingering natural smell. The product also has a reasonable price. Sugar scrub reveals the soft skin underneath by removing dead skin cells. This rich, decadent body scrub softens and conditions your skin with organic proteins of milk and extracts of honey. Your skin will be soft and also sun tan will be removed by this. To use it apply it on your face and massage it for 10 to 15 minutes after that wash it off. This face scrub is made especially for dull, tired and lifeless skin. It provides your skin perfect exfoliation to the removal of dried, dead skin cells which uncovers the underneath fresh, young & radiant skin. Apricot removes dead skin cells giving your skin glow and making it soft and walnut moisturizes your skin and also enhances its glow. Apply it in circular motions on your face and neck. Then use cotton pad wipes to remove it off your skin and rinse with water then pat dry. This exfoliating gel -based scrub is made by hydrating extracts of aloe vera which cleanses your skin deeply and also eradicated dead skin cells leaving behind soft, smooth and radiant skin. Apply this product on damp face massaging the scrub. Do avoid eye area. Rinse it good. Aloe vera also slows down your skin’s aging process and also reduces dark spots, blemishes and acne on your skin. This scrub is made especially for a toned face and body. It contains ingredients like Lavender and chamomile oil. Lavender helps treating acne, detoxifies your skin and release tired muscles. Chamomile oil also prevents acne, eases skin rashes and makes your skin young, moisturized and free of blemishes. It cleanses, nourishes and also exfoliates your skin. It increases the circulation of blood. This scrub deeply exfoliates your skin does it gently but is very effective, the exfoliation is done with the help of natural apricot seed powder and salicylic acid which shows hidden cleaner and smoother skin. This scrub is perfect for everyday usage with its rich lather and fragrance of apricot. This scrub reduces the pores appearance and also refinishes the surface of your skin to show the skin with more clarity. Its unique formula goes deep inside your skin to every last pore for cleaning. This keeps your skin pores clean daily. It also removes all the dead skin cells giving your skin a soft and smooth effect. This face scrub perfectly exfoliates and smoothens your skin along with giving your skin a silky smooth feel. It is rich and creamy and contains ingredients which make your skin actually soft and smooth. Your skin is exfoliating by orange. Wrinkles is reduced along with damage caused by sun with the help of antioxidants and vitamins and the alpha-hydroxyl acids (AHA) contained by grape seed extracts along with oranges. Cucumber softens and soothes your skin along with evening out patches present on your skin. Extract of rose leaf helps calm and relaxes your nerve. This Black Magic face Scrub from Raw Rituals is packed with activated charcoal, which can absorb any type of skin impurities providing complete cleaning effects. This product deep cleanses the skin, eradicating blackheads, whiteheads, acne and also offers detoxifying effect. It includes ingredients like jojoba oil, evening primrose oil, turmeric powder, wheat grass oil and grounded almonds which ensure the best hydration and nourishment of the skin while cleansing it from deep within. This active blackhead uprooting scrub comes with a special ingredient that dissolves the pore blockages, removing the blackheads and whiteheads effectively. The mask has a peeling off effect on the skin and ensures deep-cleansing without ripping off the necessary moisture. The creamy formula of this product leaves your skin fresh, rejuvenated and free from black and white heads.